Crews inside opening the walls. 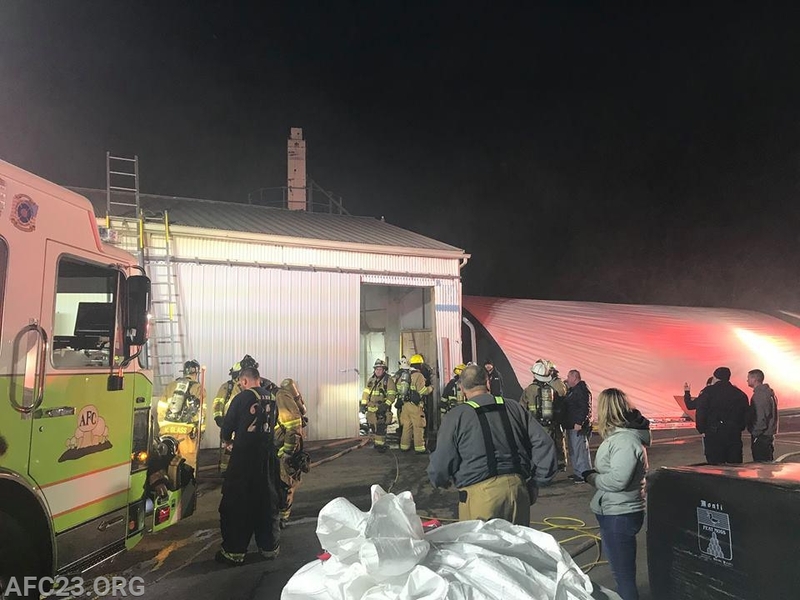 As Avondale’s members were coming together for the monthly meeting on Tuesday, December 11th, Chief 23 received a phone call from an employee of a mushroom company in the 1200 block of Newark Road advising there was a fire in their building. 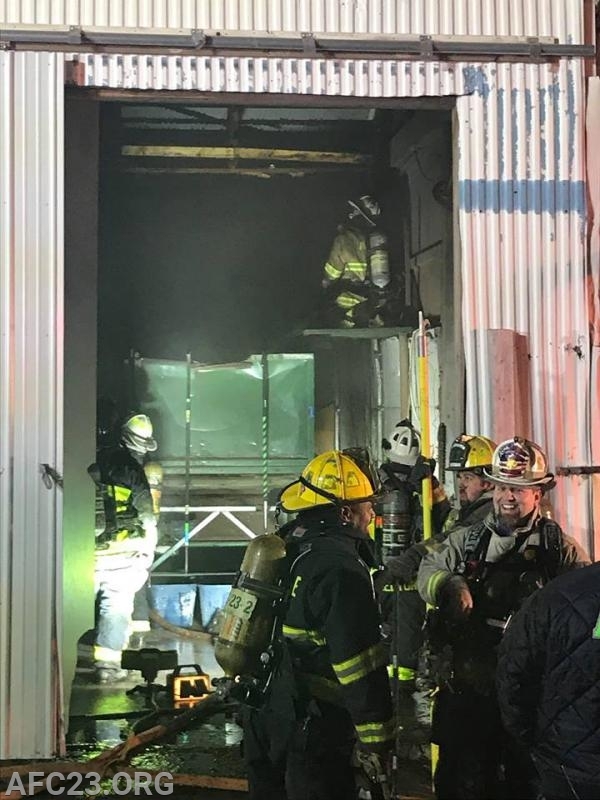 Chief 23 had the alarm dispatched at 1802 hours bringing Avondale, Kennett, Longwood, Po-Mar-Lin and West Grove Fire Companies to the incident. 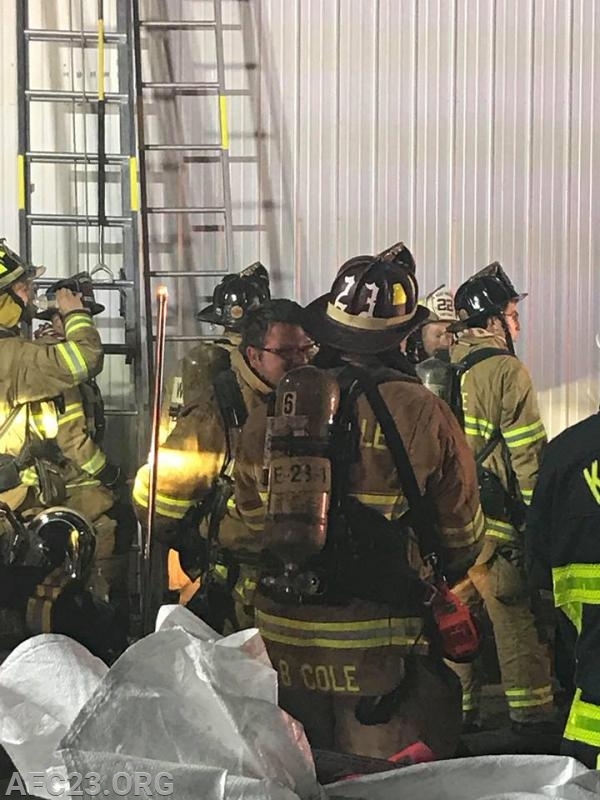 Chief 23 arrived within seconds to find fire in the wall that had extended into the ceiling of a large commercial building. Engine 23-1 was assigned the first due engine assignment. Engine 23-1 pulled hand-lines and began extinguishing the fire, while Tanker 23 set-up for water supply. Chief 23 established command, while Deputy 23 handled interior, and Deputy 22 established a Command Post for radio communications. As additional units arrived, they were assigned different fire ground tasks. The fire was quickly knocked down and crews opened the walls and ceiling and checked for further extension. 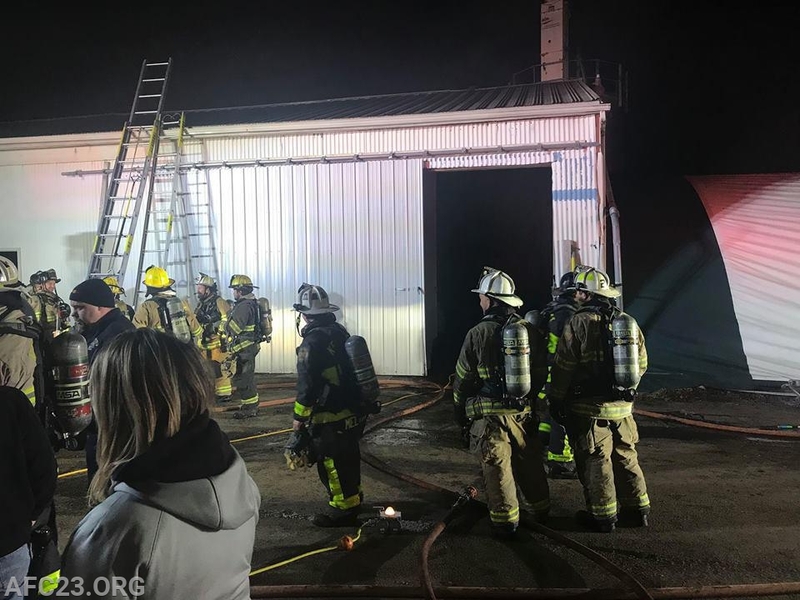 It was determined the fire was extinguished and the fire was placed under control at 1819 hours. 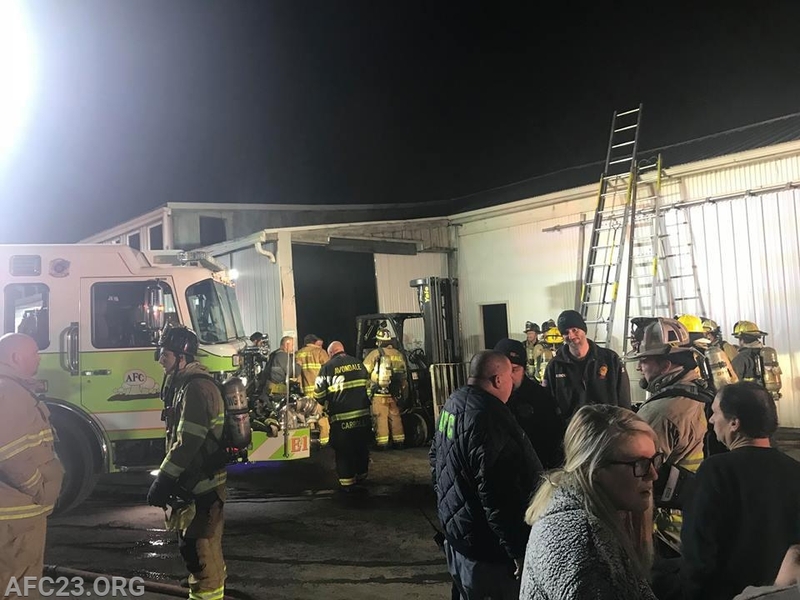 Shortly after going under control, the incident was down-sized to Avondale units only to assist the Chester County Fire Marshall's office. Final units cleared at 2040 hours. Thanks to Rescue 36 (Po-Mar-Lin) for standing by at our station during the incident. 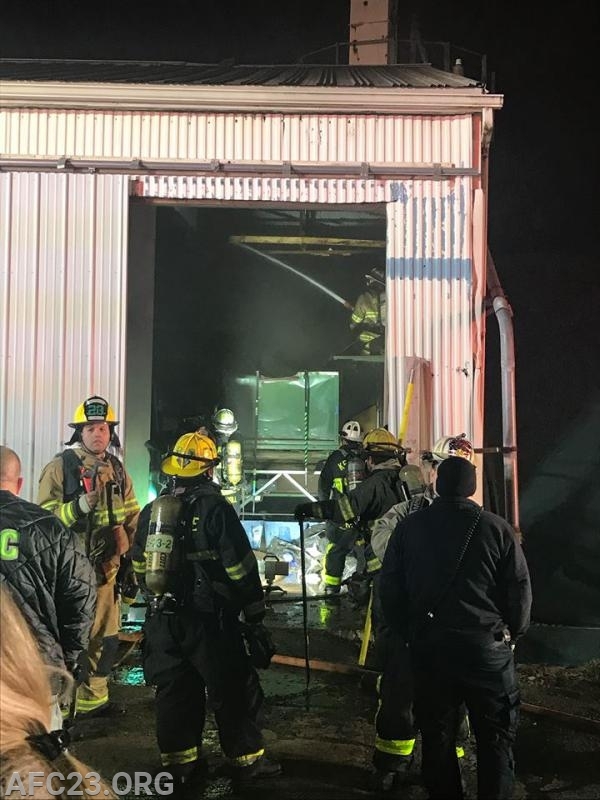 Mutual Aid: Kennett, Po-Mar-Lin, Longwood, and West Grove Fire Companies. FM 100 & 101.